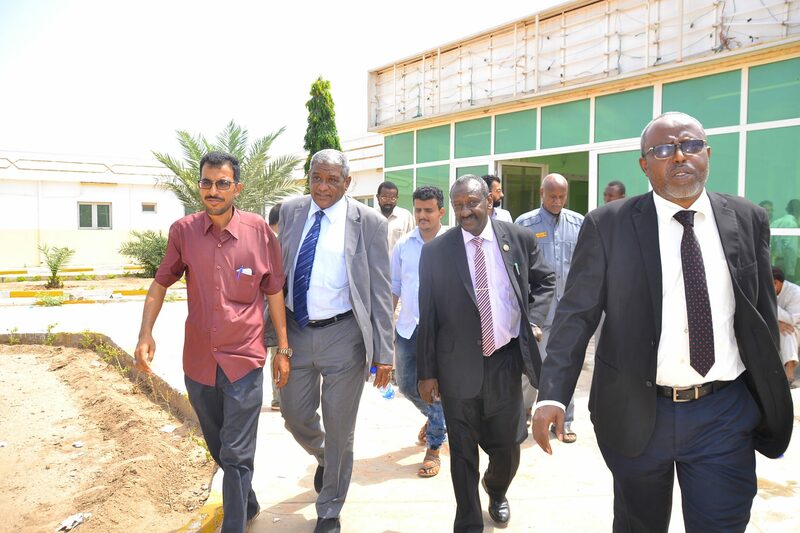 A delegation from the University of Gezira with headed the Vice Chancellor of the University Prof. Mohamed El Sanousi, the deputy Vice Chancellor Dr. Mohamed Babiker Al Awad, and the legal advisor Moulana. Khalid Yousif, visited the mother hospital at the project of Saeed Lootah for productive housing East Wad Medani and they recognizing the level of preparations and equipments in the mother hospital which will be scheduled to open in the coming days. The delegation was received by Project Manager Mr. Hilal El Thoubani, Legal Advisor. Omar Abdul Jalil, and Project Engineer .Radwan Younis, and they praising with the progress of the work. A joint meeting was held at the Office of the Vice Chancellor of the University in which the two sides agreed to develop twinning between the University and Said Lootah institutions. The Vice Chancellor of the University praised with Said Lootah’s efforts to develop the productive housing project which implemented at the State in order to improve the economic, social, educational and health lives of the people and achieve the required balance of their lives through the integration of practical and applied roles with the theoretical and academic experiences that characterized the University.